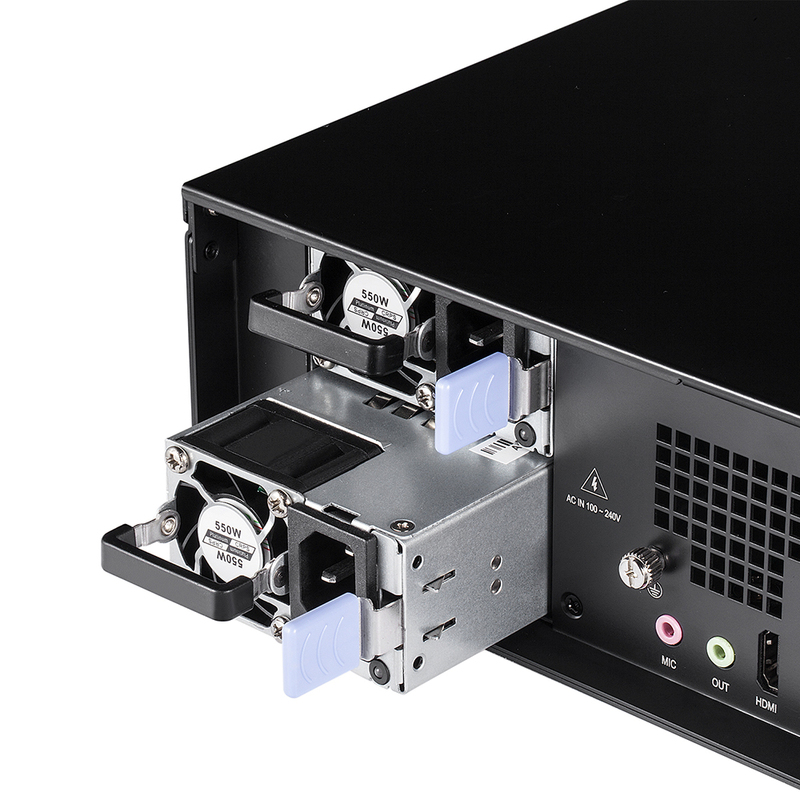 TBS8520 multiple inputs H.264/H.265 IPTV transcoder is TBS latest product, which is designed for our TBS TV tuner card customers. 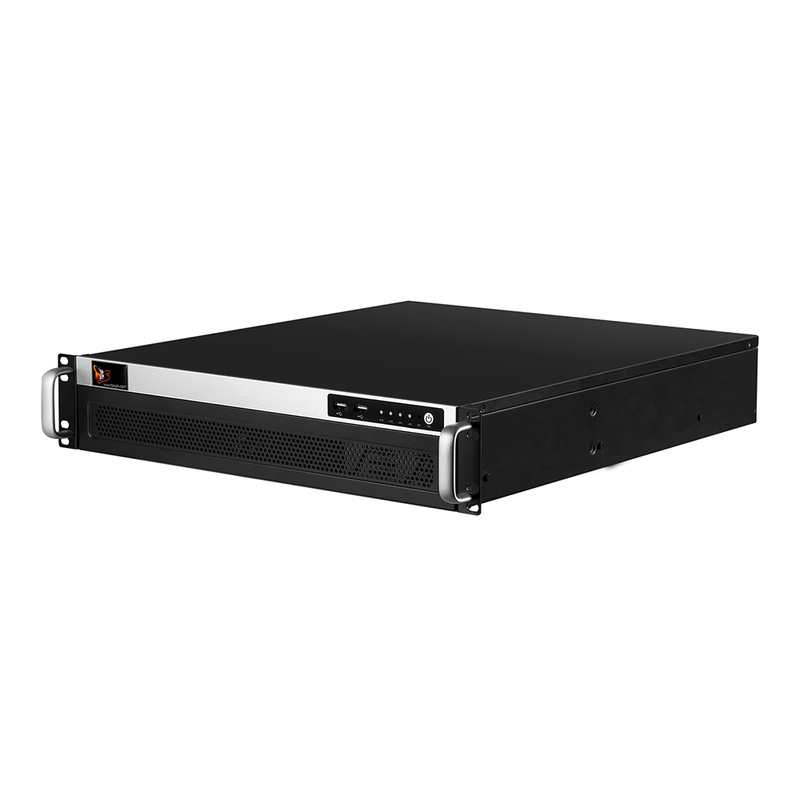 It’s a high-performance video server that features in high integration and reliable hardware transcoding server. 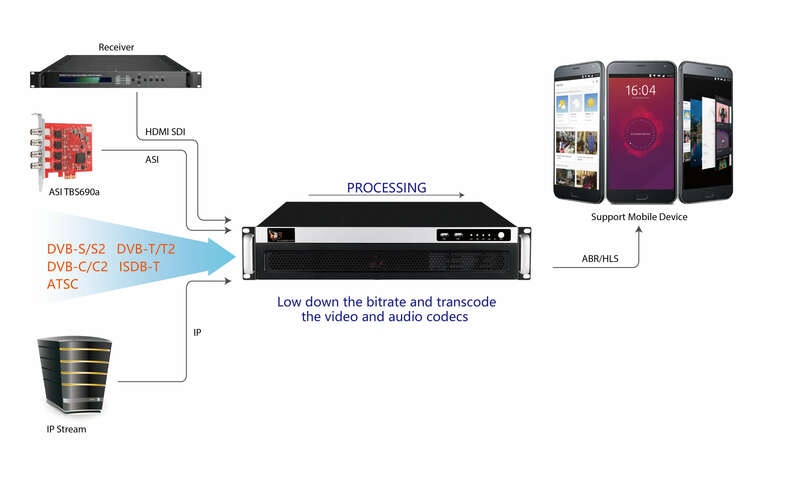 Because the original data rate from DVB channels is very high, send it to internet directly will cost a lot of bandwidth, then you need both receiving server and transcode server to lowdown the bit rate, this is not convenient and will greatly increase the cost of the solution. 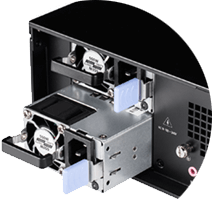 Now with TBS8520 real-time transcoder server you can Receiving and Transcoding at the same time, this is a cost-effective solution for OTT IPTV providers. 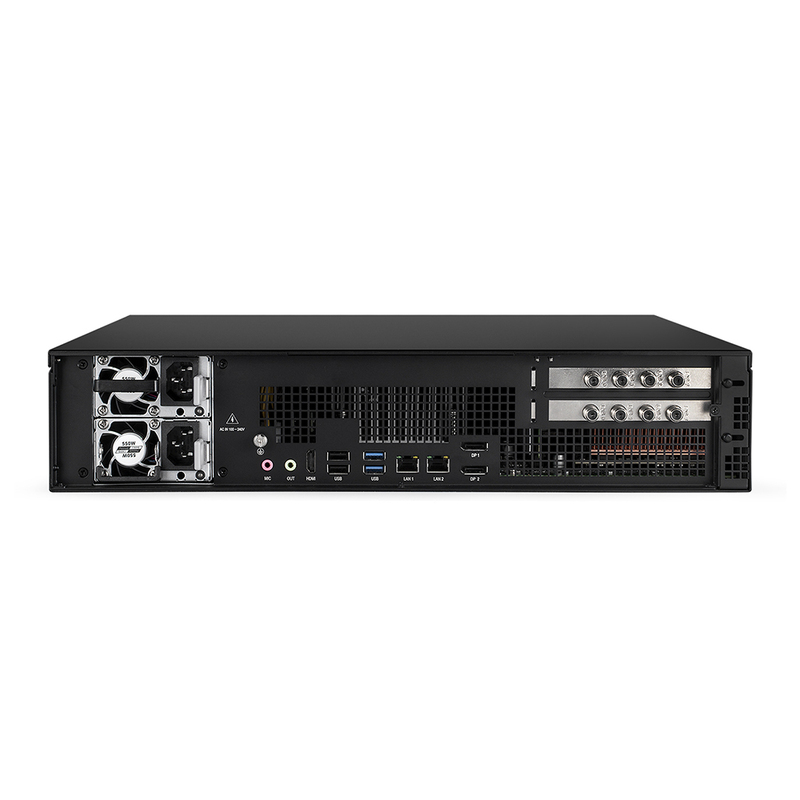 With Two Giga Ethernet Ports, it can be configured to transcode up to 80SD or 30 Full HD streams, and equipped with 2 TBS Tuner/Capture PCI-e card inputs(up to 16 tuners) to receive channels directly from satellite or ASI / IP inputs to receive digital channels. 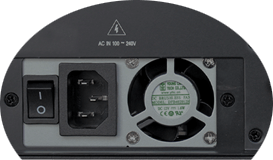 It can be easily managed through NMS system, and has become an ideal solution for operator to provide high quality video transcoding. 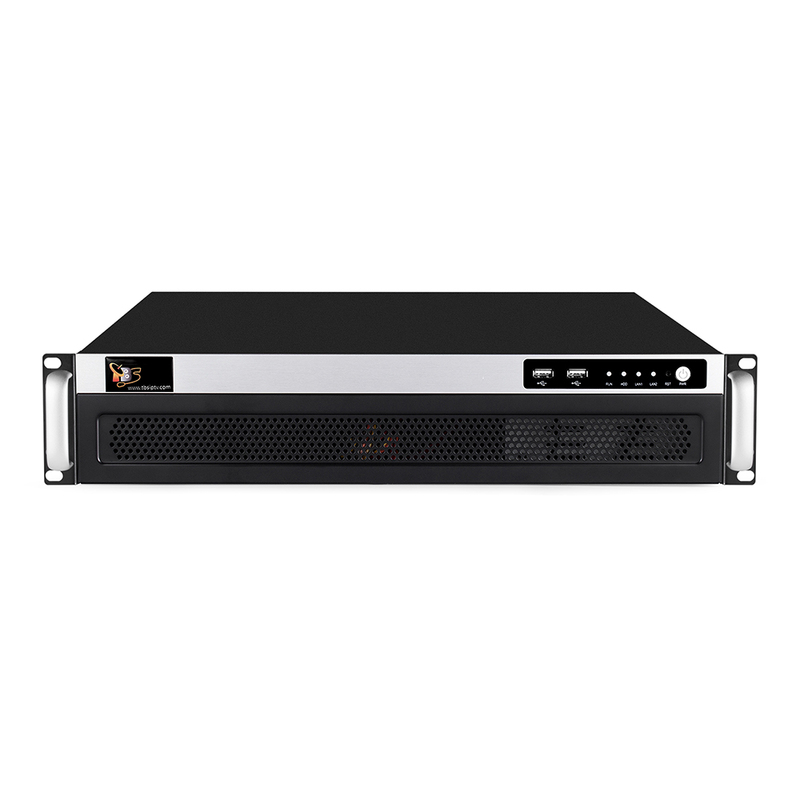 TBS8520 is a real multi-channel/formal transcoding server which answers all market requirements and is thus the suitable solution to Terrestrial, Satellite, Cable, IPTV networks. 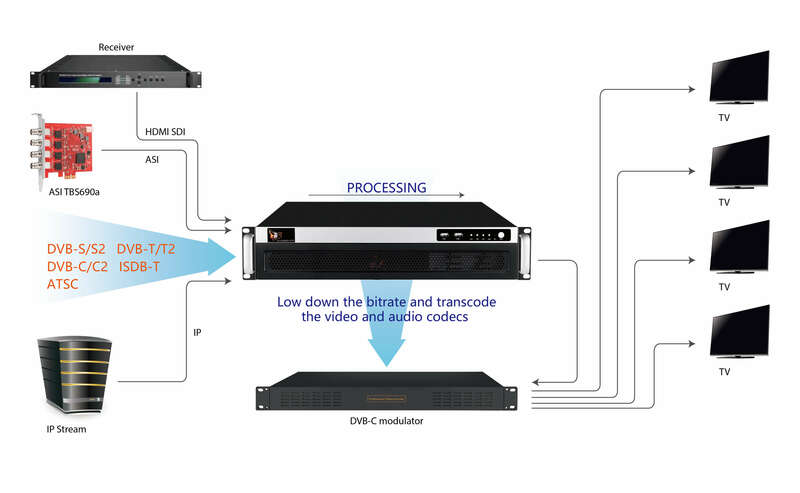 1.Multiple recourse inputs: DVBS/S2, DVBT/T2, DVBC, ATSC, ISDBT, DTMB, HDMI, ASI and IP streams. 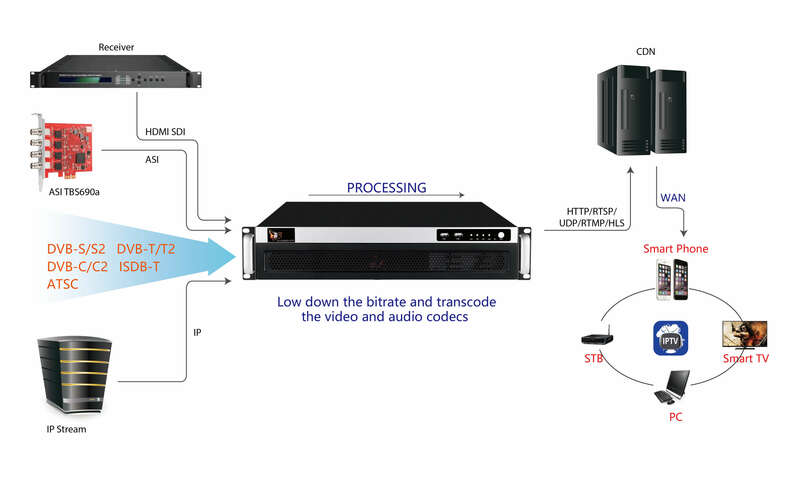 5.Support subtitle burn to the video or by pass to TS stream. 1.OTT IPTV providers (Internet TV).